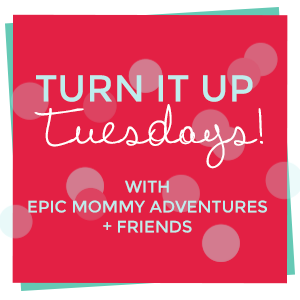 Join the fun and link up your posts to the Turn it up Tuesday linky! Link up your funny stories, DIY posts, recipes, mommy moments — anything at all, as long as it is family-friendly. We want to laugh, be entertained, be inspired, and have a good time!